MLE and India: [MLE] Is multilingual education encouraging violence or peace? It seems to be such a logical reasoning: in order to unify the communities in a geographical area the government should impose as much as possible unified means of communication, ways of living and acts of treatment. It therefore is often assumed that encouraging the use of local languages disenfranchise people from the mainstream and causes tensions. In areas like Northeast India where ethnic violence is common it is therefore no surprise that governments officials are hesitant to approve of multilingual education. 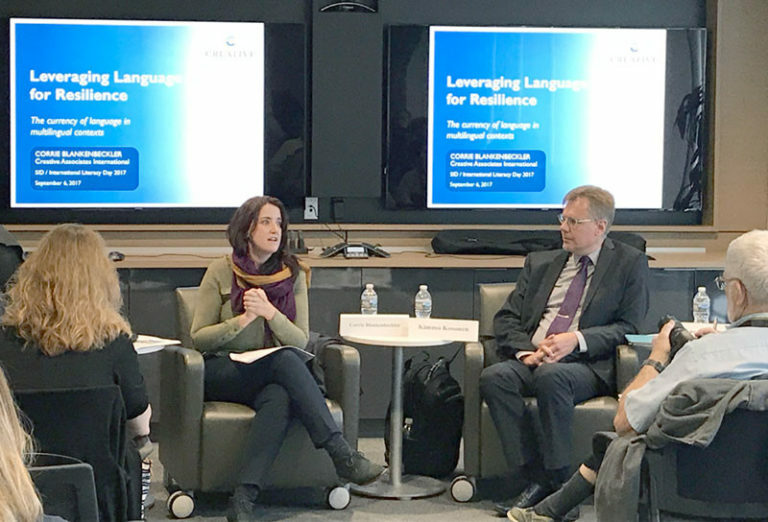 Earlier this month at the Society for International Development in Washington DC experts from around the world discussed this topic in the context of language and identity issues. Quote: "When the child's mother's language is excluded in school, this can be harmful to his or her self-confidence and sense of identity. Language helps to indicate who we are where we come from a background or status many other key attributes." The panel also stated that if only the dominant language is promoted and used in schools is disfranchises the children from the society. The children tend to drop out from school and develop a negative attitude towards the mainstream society. This fosters separate movements and ultimately violence. The panel stated that "bringing bilingual and multilingual education into the classroom can have a particularly powerful effect in helping traumatized students to heal and regain a sense of normalcy" Dr. Kimmo Kosonen of SIL International gave an example from Thailand where youngsters who had dropped out from school were drawn into the insurgency who were burning Thai schools and killing Thai teachers. 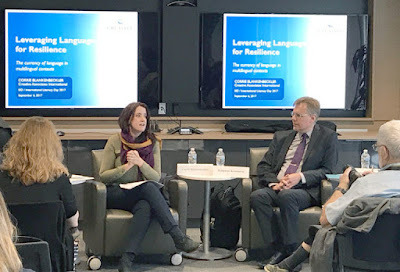 The panel however admitted that a direct link between multilingual education and the move towards peace cannot easily be proven, but there are enough indications to show that children in a school where the language and culture is accepted will less likely drop-out and join insurgents groups. This would be an excellent topic for further research as quite a few of the above statements are based on assumptions. If anybody knows of such research please let us know.